Details revealed in Australia's national resources may provide clues to help you pin-point and refine your searches in the relevant state records, and vice versa. Information to be found in the free national records may include addresses or states, occupations and skills, employment sponsors, character references, physical descriptions, medical records, details of next-of-kin, parents, spouses and children, place of birth, letters, signatures, and sometimes even photos. Australia consists of six states and two main territories, with each administering their own government information resources and providing different levels of coverage and online access to historical records. Some online offerings are very generous, and some quite limited. For early periods, note the evolution of the states and territories, as it may impact your research (eg. Victorian records prior to 1851 and Queensland records prior to 1859 may be included in NSW). The timeframe for searching will be different for every family, and in every state, but the starting point for state-based family research in Australia is generally the state registries of births, deaths and marriages, and state archives/records offices and libraries (see links further below). To trace your Australian families backwards, start with yourself and follow the BDM certificate trail for each line, combined with clues from other records to locate the various families’ places of origin. Utilise immigration records, naturalisation records, obituaries, wills and probate documents, cemetery and headstone records, land records, employment and education details, newspaper articles and family notices, children’s birth/marriage records, and photo collections online. To locate your living relatives or their descendants in Australia, start tracing forwards from clues in immigration records or early electoral roll information. BDM certificate availability is restricted for recent generations/decades, although some states publish marriages indexes up to 1965, deaths indexes up to 1988, and will & probate records to more recent years. Electoral rolls are available online at Ancestry and FindMyPast for most states up to 1980, so children born up to late 1962 may be included, possibly with their parents. More recent electoral rolls are available in some local and state library collections. Current electoral rolls (in electronic form) can only be inspected in person at any Australian Electoral Commission office (no photos or digital copies can be taken). Electoral rolls include full names and occupations, and addresses that can be cross-checked with current telephone directories to see if a family member still resides at the same address. Search social media profiles and school reunion sites. Contact me for assistance in tracing living relatives. Search online family trees for clues and connections. Try GenealogyInTime's Family Tree Search Engine to search many family tree sites at once. Try GenealogyInTime's Genealogy Search Engine to search billions of free and unique ancestral records. Use www.google.com.au to search for Australian information, as Google Australia gives preference to Australian results which may not be as easily found using international Google sites. Try www.millionshort.com to exclude the top paid and pushed results from your searches. Historical birth, death and marriage images and certificates can be purchased online. Queensland State Archives (QSA) includes an online index of records for family historians, including immigration & shipping (some digitised), criminal, naturalisations, wills, inquests, hospital, land, some professions, and a variety of other records. State Library of Queensland (SLQ) has published Family history info guides, Family history videos, Picture Queensland, SLQ Photos on Flickr as well as numerous records on OneSearch, which can be refined to include digitised collections only. If you live in Queensland and have a library card, you can apply to access eResources from home. NSW Registry of Births Deaths & Marriages includes indexes to births, deaths and marriages, and certificates can be purchased directly from the index results. NSW State Records hosts various searchable collections, including indexes Online which comprises records on immigration & shipping, convicts, land, naturalisations, professions, education, census, and more. NSWSR also has a Keyword Search tool to search many indexes at once, Guides and Finding Aids, Research Topics, and Photo Investigator. State Library of New South Wales - search manuscripts, oral history and pictures. If you live in NSW and have a library card, you can apply to access eResources from home. Births Deaths Marriages Victoria Family History provides links to search Victoria’s historical BDM and Marine indexes, and you can purchase scanned certificates online for immediate viewing. Public Records Office of Victoria (PROV)’s collection at PROV Digitised Records & Online Indexes includes passenger lists, wills & probate (digitised to 1925), records on education & teachers, convicts & prisoners, land, and health. State Library of Victoria also has a large digitised collection. Search on your keyword, and refine using the tabs at the top and categories at the side. If you live in Victoria, you can apply for an SLV library card to access eResources from home. WA Registry of Births, Deaths & Marriages has indexes online, and certificates can be ordered from the link within the search results. State Records Office of WA collection provides an online search to some of their collections. WA Reverse Marriage Lookup for additional fields and range (to 1965). State Library of WA’s online catalogue includes photos among numerous other records. If you live in WA and have a library card, you can apply to access eResources from home. To order birth, death or marriage certificates from the SA Registry of BDM, you must use the indexes available at Genealogy SA or Family History SA and then order a transcript or lookup through those sites, or apply online to purchase an official certificate from the registry. State Library of South Australia hosts Quick Search which can be refined by format, type, year, place, photo, etc, and their Library Guide on Family History. If you live in SA, you can apply to access eResources from home. State Records of South Australia links to SA family history sources. SA directories online 1864-1897 and Adelaide Proformat also provide some free family history information, indexes and links. Tasmania has combined its state library, archives, heritage and other community information services into one online service, LINC Tasmania. LINC includes free digitised content such as convict records, directories, photos, passenger & ship arrivals, early census indexes, inquests, naturalisations, wills, and more. Linc Tasmanian Archives & Heritage Office Commons have published great photo resources on Flickr. Tasmanian Birth, Death and Marriage early indexes are now available to browse for free on FamilySearch, but are not indexed. Indexes are available at FamilySearch (Births & Baptisms, Marriages, Deaths & Burials). [See Gould Genealogy’s Blog for helpful instructions]. A link to forms and fee information for ordering certificates is also on the Tas BDM site. BDM indexes for NT are now available online at Ancestry and FindMyPast - for Births 1870-1918, Marriages 1870-1913 and Deaths 1870-1913. Current certificates can be ordered, with strict eligibility requirements, at the Department of Justice. Non-online resources for family historians can be found at the NT Department of Arts and Museums, the Northern Territory Archives Service, the Northern Territory Historical Society and the Genealogical Society of the Northern Territory Inc. The ACT Heritage Library includes collections on local history and photos. Note that some of the indexes listed above are included in Ancestry, FindMyPast and FamilySearch, and are also accessible at many local libraries (online, CD or microfilm/fiche). If you can’t locate a record in one particular index, try another, as their different search criteria and algorithms can produce or prioritise different results. Supplementary to the state-based government records are resources provided by genealogy, family history, local history and historical groups and societies. Genealogy portals such as Cyndi’s List Australia and Cora Num’s Websites for Genealogists provide further links to Local History Resources, Family History Societies & Groups, cemetery indexes (useful for monumental inscriptions), the Ryerson Index (death, funeral and obituaries index from recent newspapers), and numerous other useful sources. 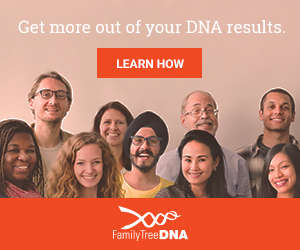 Every family history is unique, so there is no ‘one formula’ that works for everyone in tracing either their ancestors or their living relatives. Link all the information and clues found using the above state-based resources, together with the free national resources, the non-government sources and commercial/subscription database resources, to reconstruct your families. Strategic use of the above resources – particularly immigration, naturalisation, birth, death and marriage indexes and certificates, electoral rolls and newspaper announcements – can usually rebuild your family tree backwards enough to countries of origin and forwards enough to find and reconnect with living relatives.